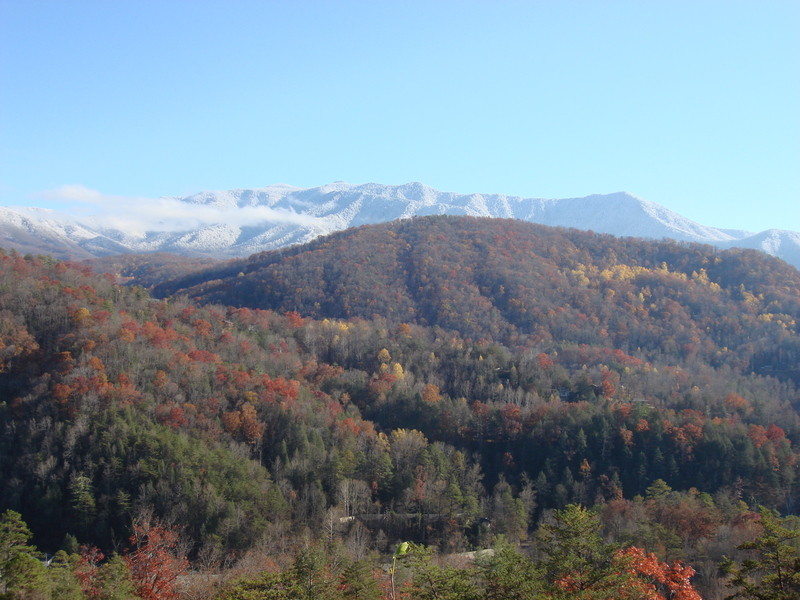 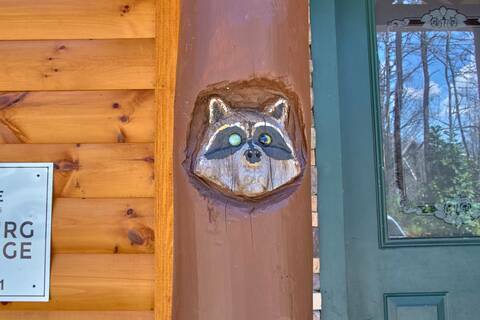 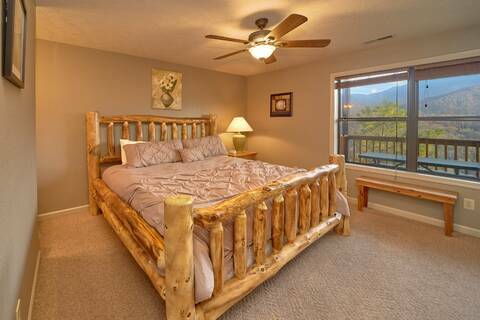 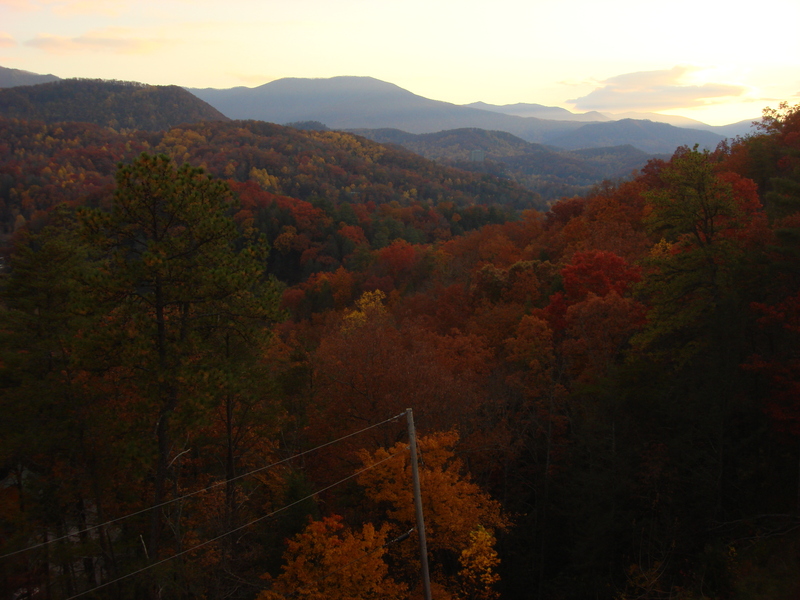 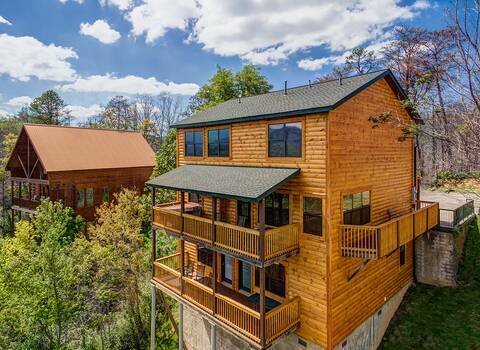 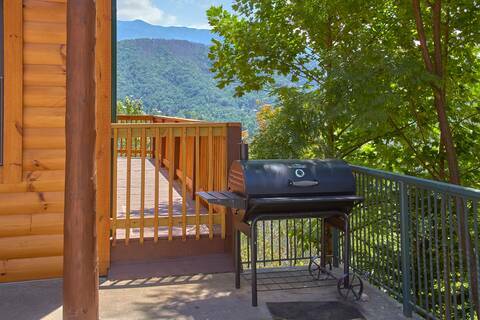 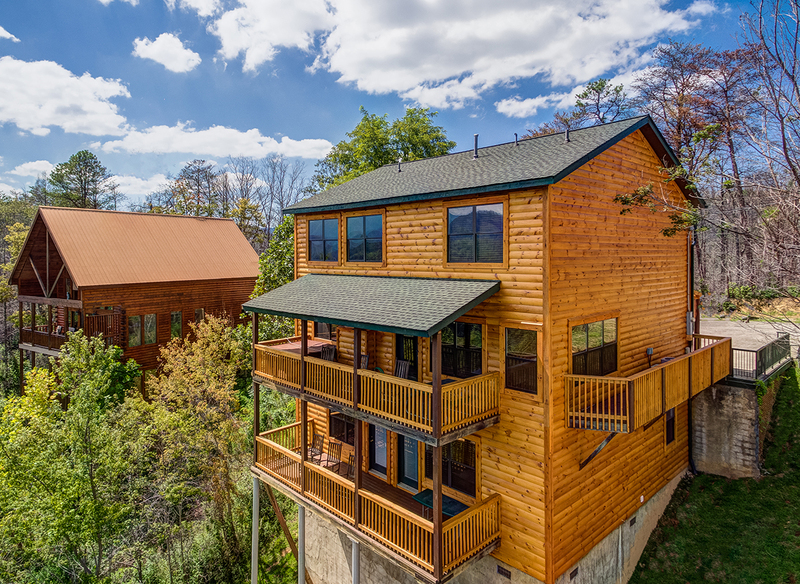 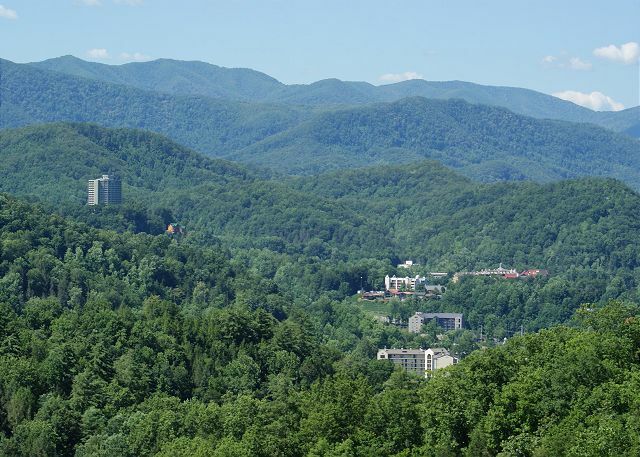 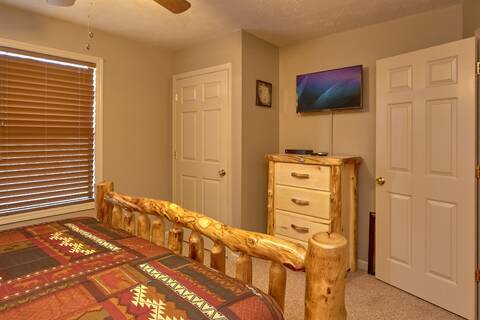 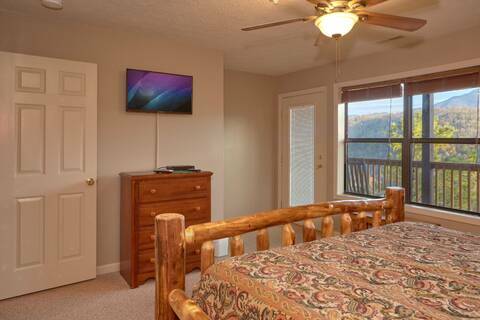 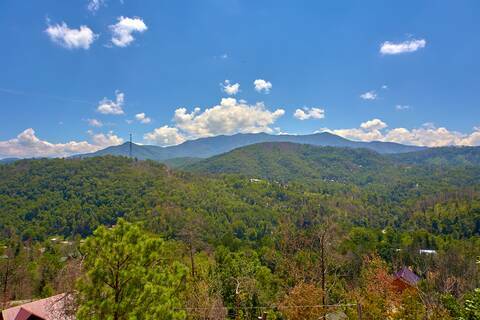 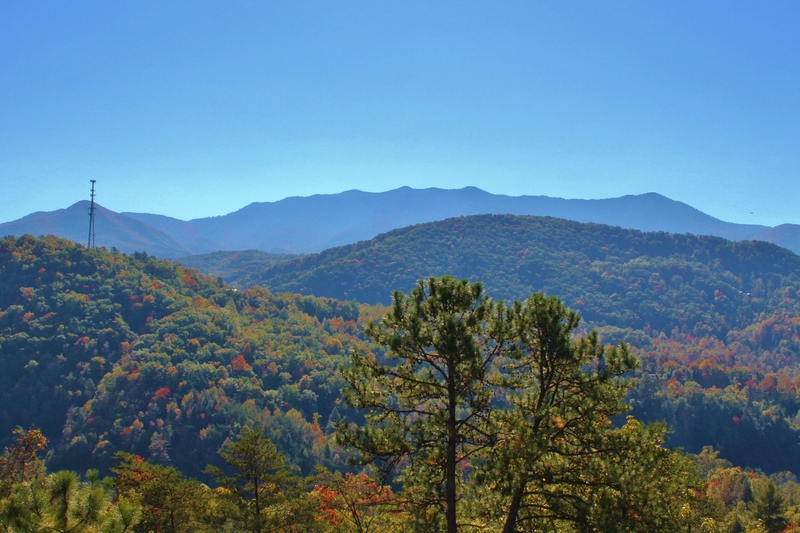 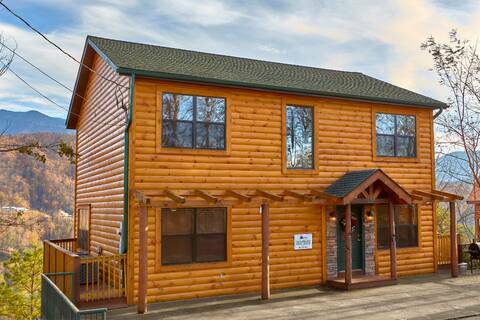 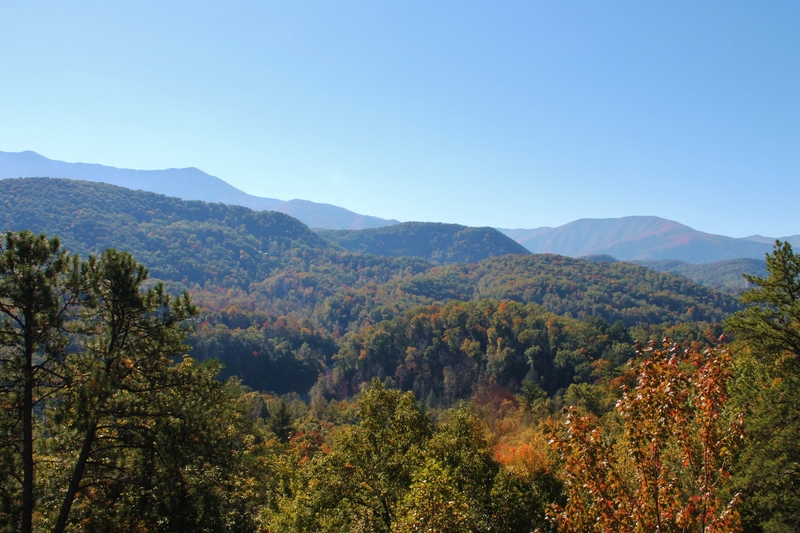 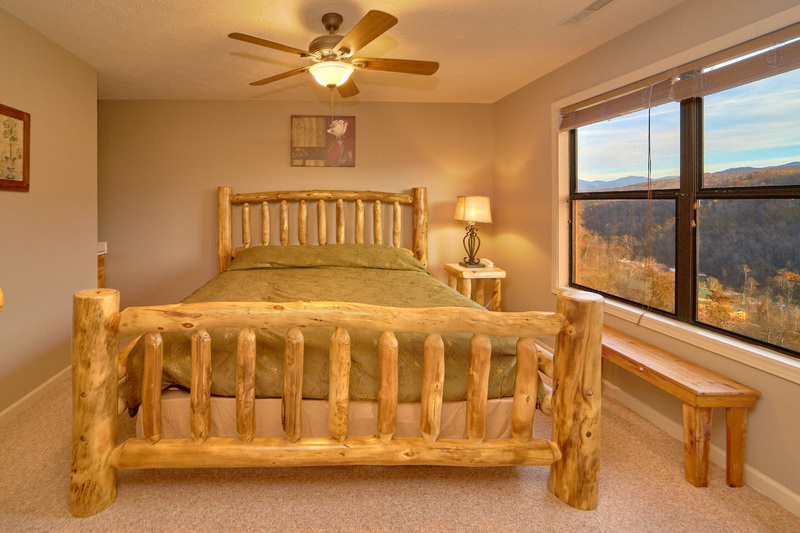 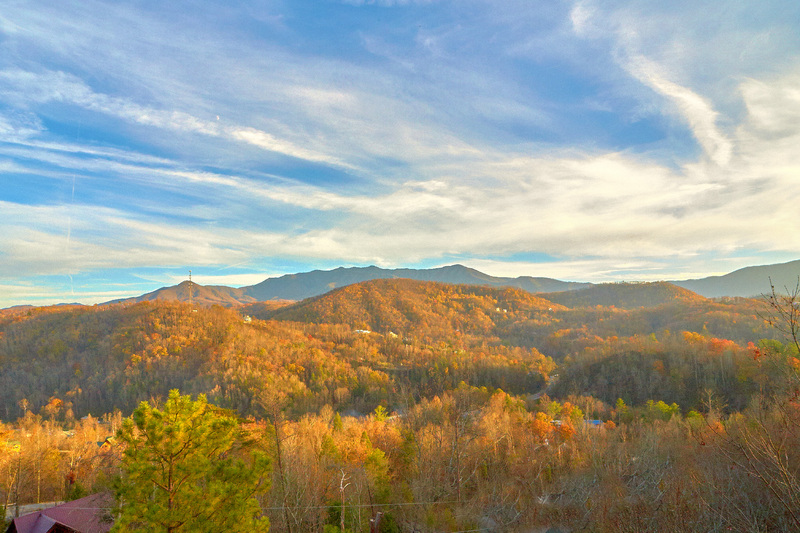 GATLINBURG VIEW LODGE (formally Bear Bottom Lodge) 8 Bedroom MOUNTAIN CHALET OVERLOOKING BEAUTIFUL MOUNTAIN AND CITY LIGHTS VIEW!!! 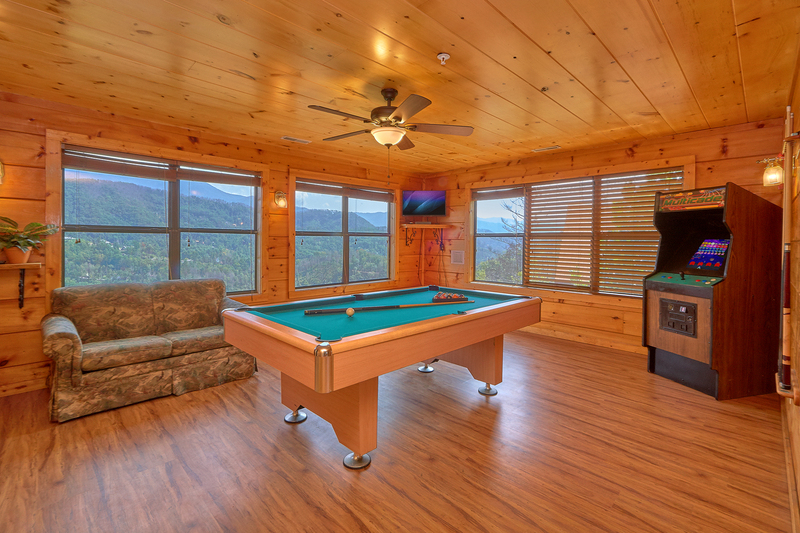 Amenities Galore: 9 TVS, Pool table, Hot Tub, Games, movies, and much more. 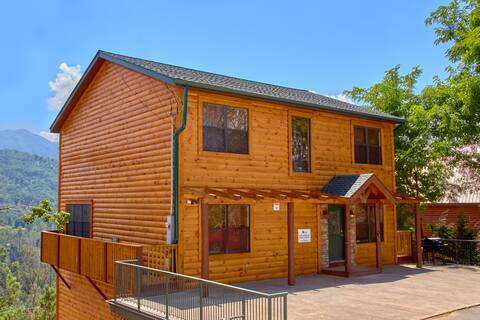 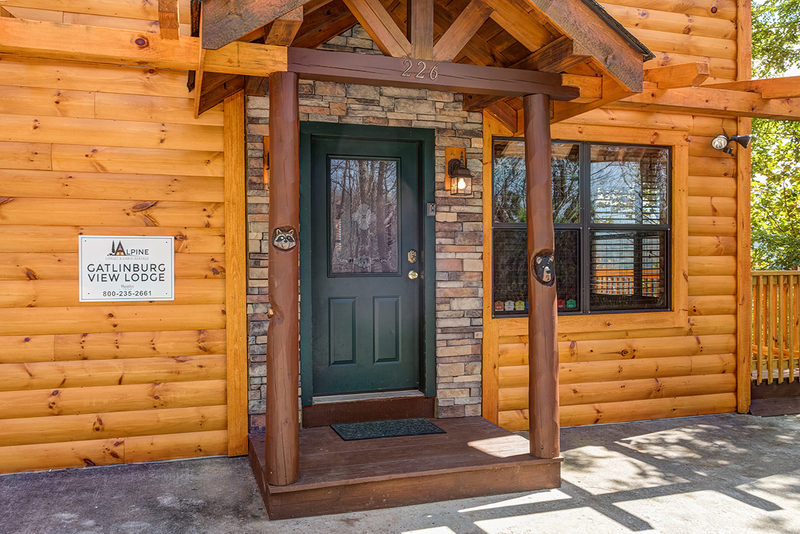 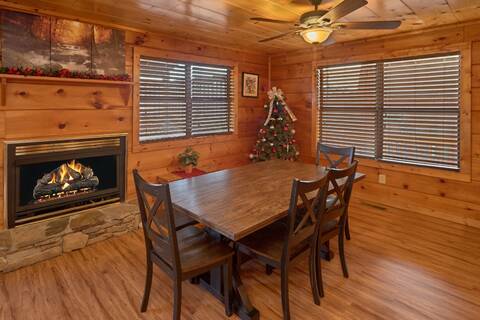 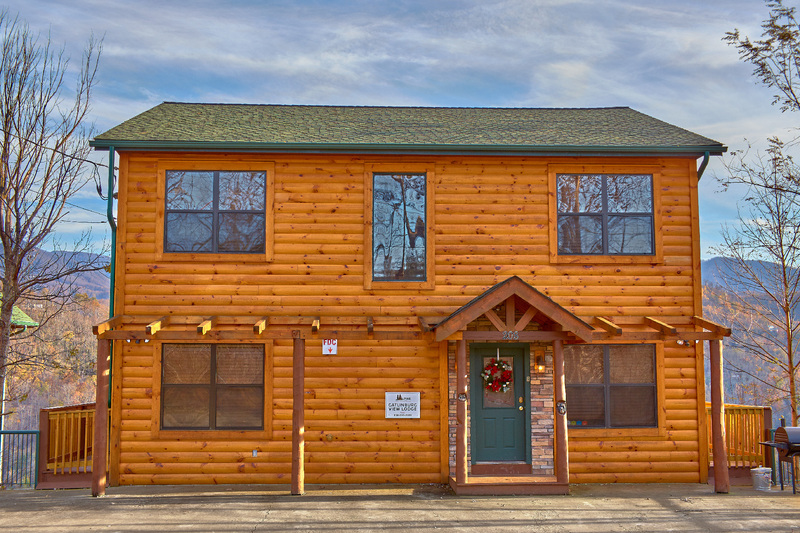 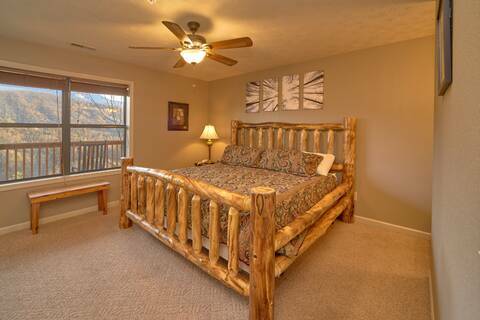 This top of the line chalet has it all - three levels of amenities! New flat panel TV's in 7 bedrooms, living room and game room! 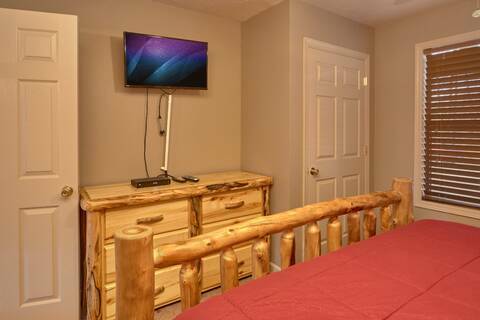 NEW LAMINATE FLOORING ON MAIN LEVEL AND GAME ROOM! 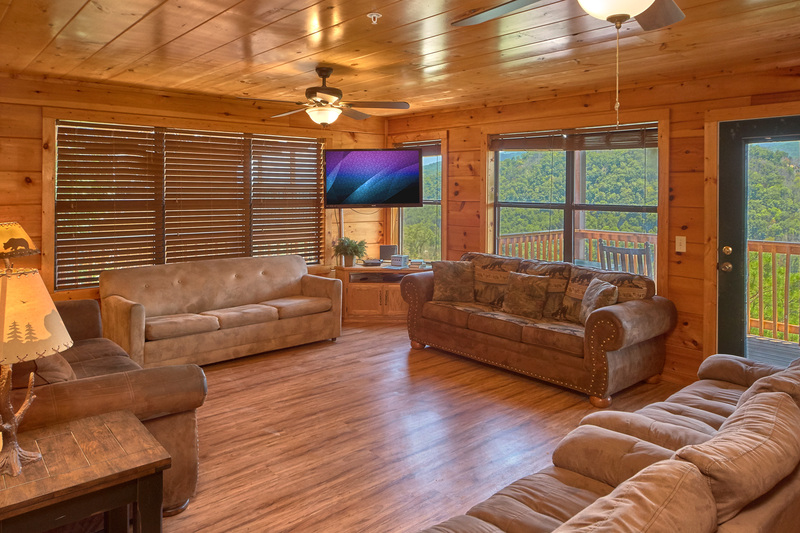 On the main level: the large living room area has lots of seating so everyone can get in on the conversation along with a 50" flat screen TV. 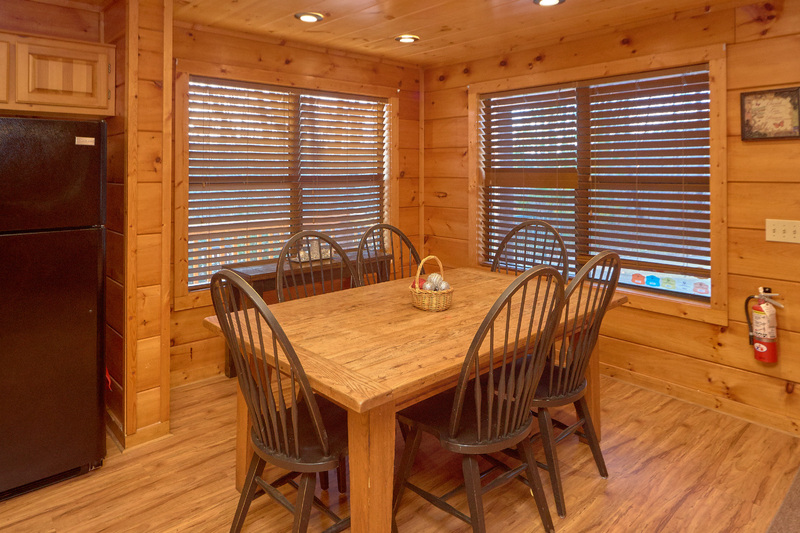 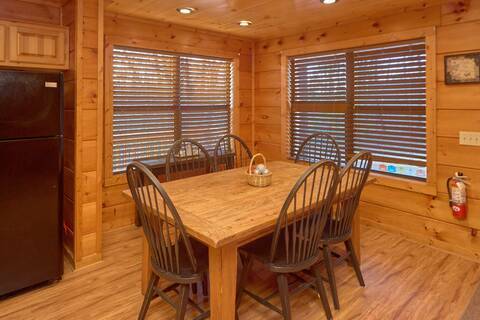 The living area, as well as the rest of the chalet, features windows galore to bring the mountain atmosphere! Gather everyone into the living area for that special time together - watch a movie from the great movie library on the 50 inch cable TV with dvd/vcr player or play charades and board games while sitting around the gas fireplace. 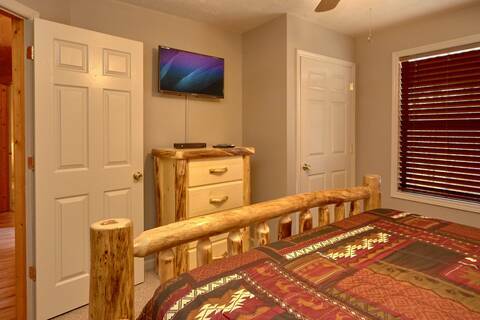 This area also has 2 queen sleeper sofas. 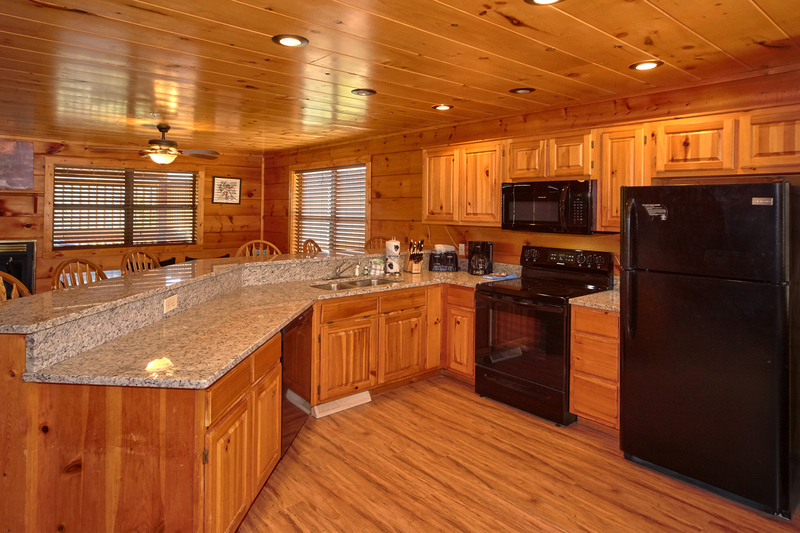 Whether cooking a meal together or eating take-out, the large kitchen area makes it possible for that meal together. Kitchen area is fully equipped. 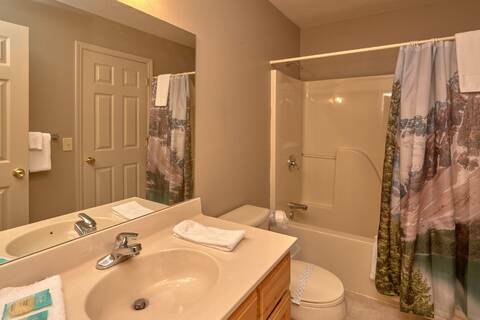 One hall bath on main level. 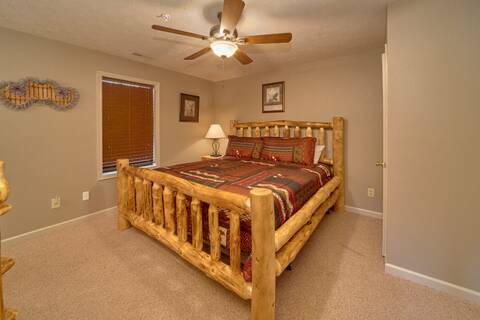 The romantic bedroom has king bed/ hall bath. 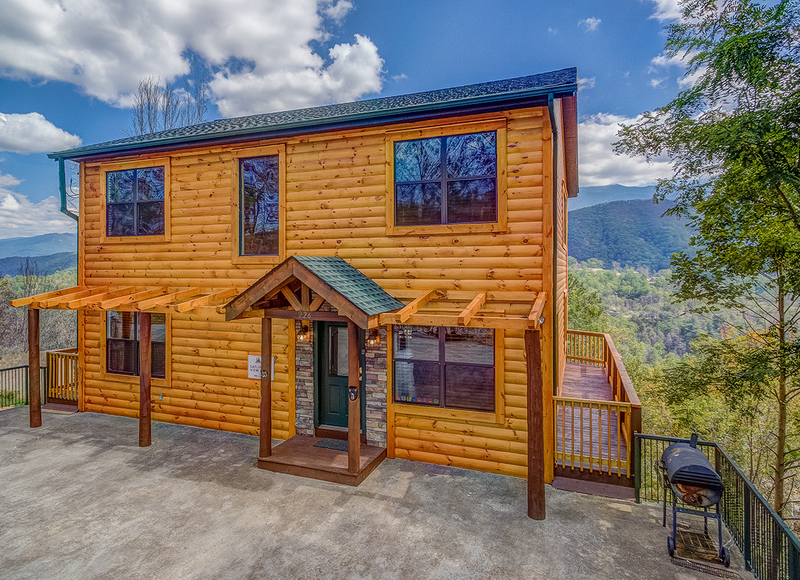 The spacious upper level floor plan offers 3 bedrooms, 2 baths and game room. Challenge your friends to an exciting game of pool on the full size pool table, watch the game on the new flat panel TV, play the 48 game multicade arcade system or just enjoy gazing at the magnificent mountain view. Two hall baths on this level. 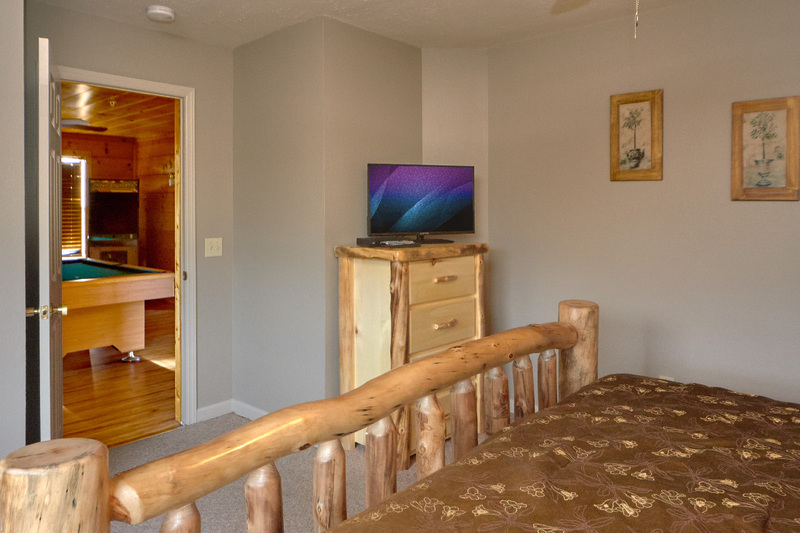 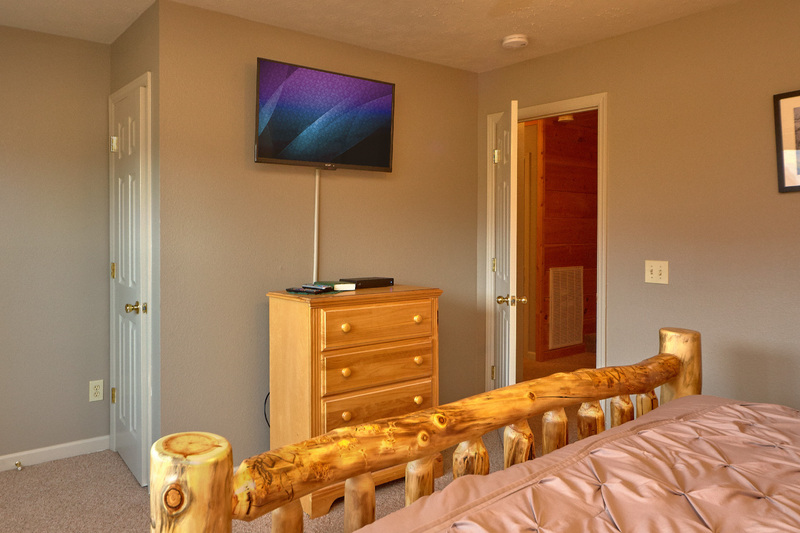 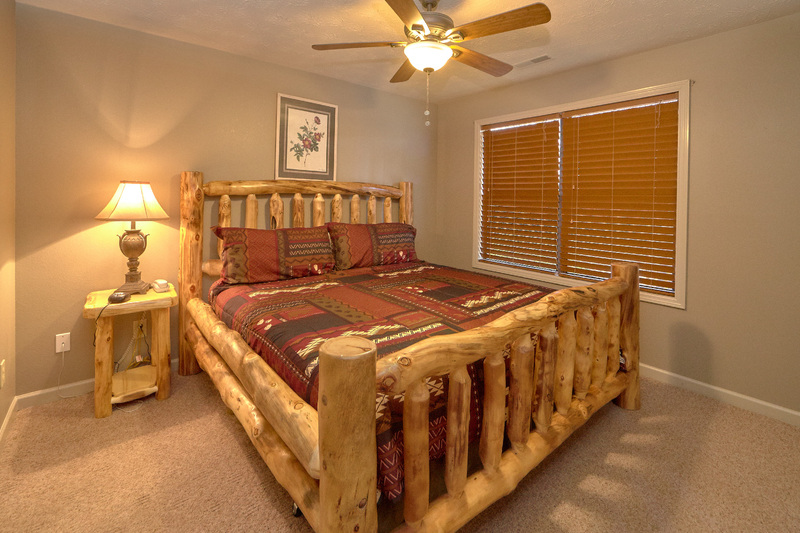 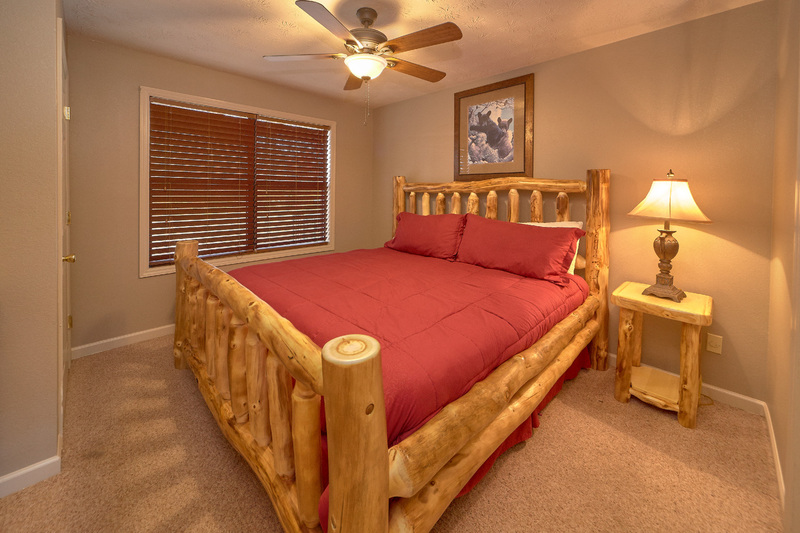 One bedroom offers a comfortable king bed and cable TV (door access to the hall bath). The other two spacious bedrooms offer king bed, cable TV and vanity/sink area. 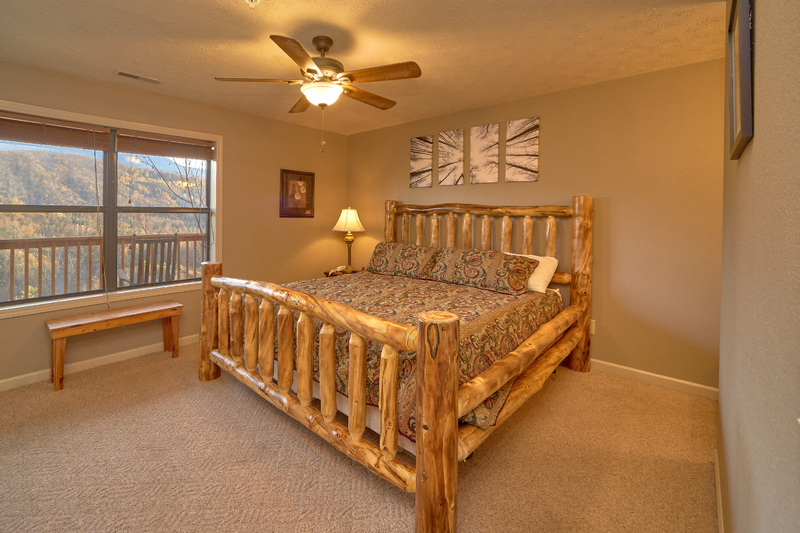 The lower level floor plan offers 4 bedrooms and 2 hall baths. 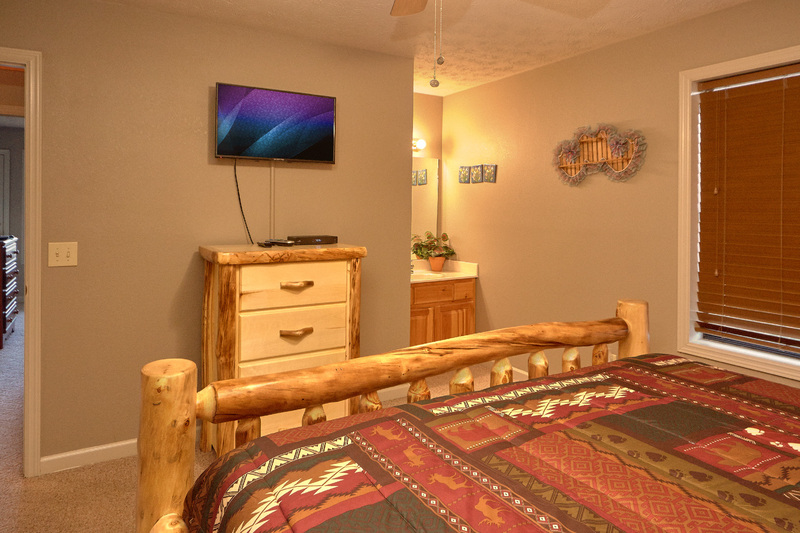 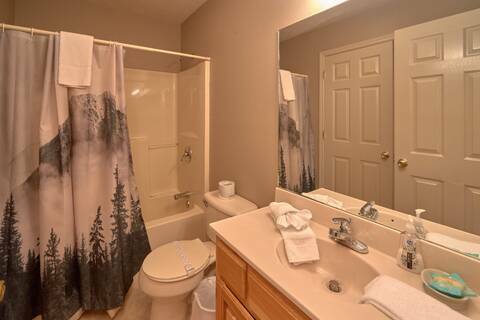 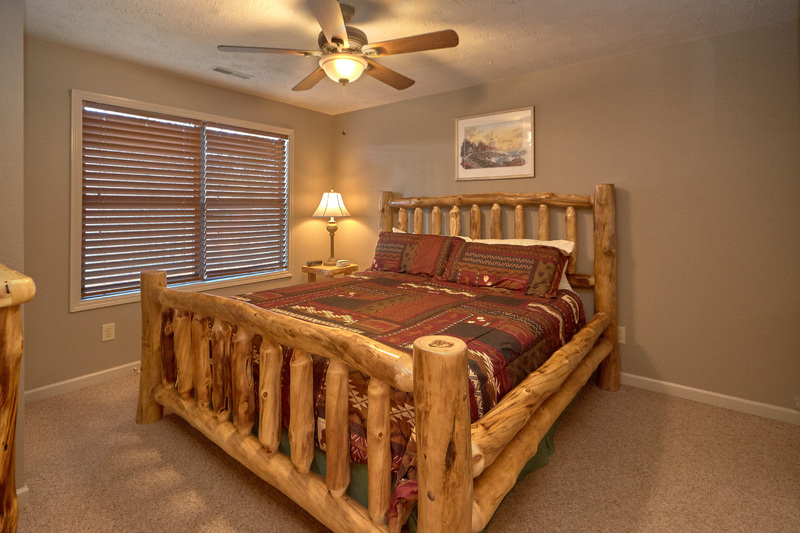 All four bedrooms feature king bed, cable TV and vanity/sink area. 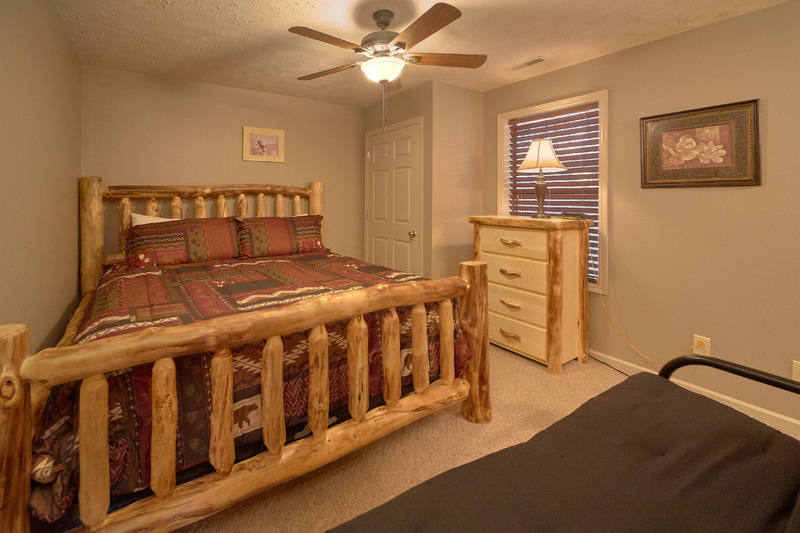 One of the King bedrooms also has a futon for additional sleeping. 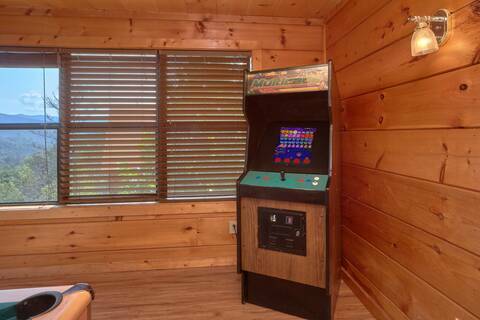 For your convenience there is a washer/dryer on this level. There are two deck areas (located on main level and lower level) Get the gang together for a cook-out : there is a charcoal grill and 2 picnic tables. 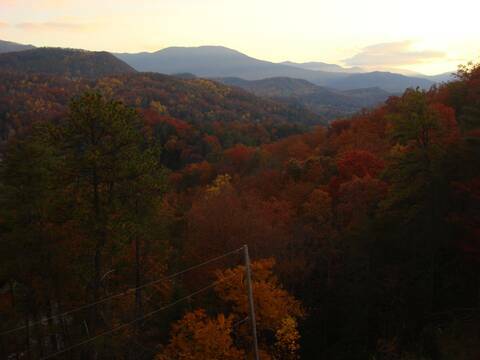 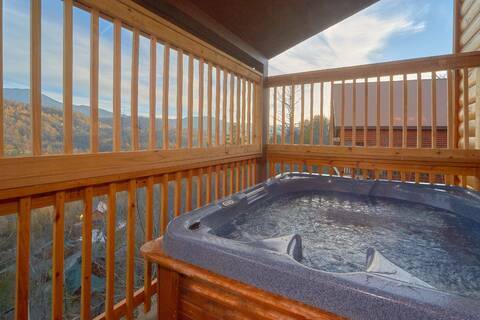 Or just enjoy the view while relaxing in the rocking chairs or Hot tub. 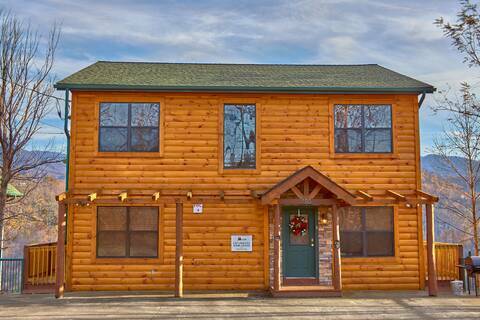 WIRELESS INTERNET and unlimited local and long distance calls.